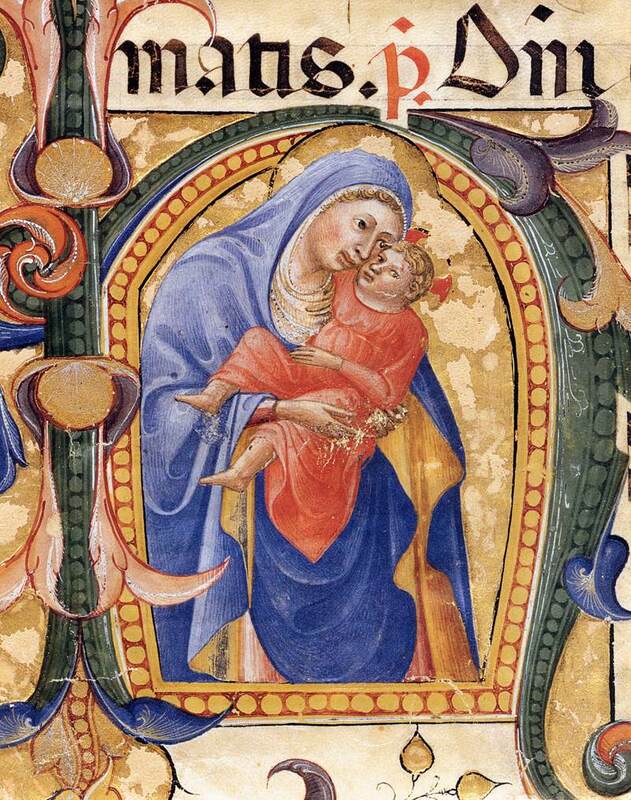 The Queenship of Mary and her intercessory role with the Angelic Host as advocate for all of the children of Eve also is celebrated in the liturgical life of the Roman Catholic Church, in the so-called Marian Antiphons – or the Antiphons of the Blessed Virgin – sung during the Liturgy of the Hours of the Divine Office at various seasons in honor of the Blessed Virgin Mary. (See generally http://www.ewtn.com/expert/answers/breviary.htm. )The Divine Office is comprised of a series of eight services performed each day and night: Matins (or Vigils), often at 3:00 a.m., Lauds, at daybreak, Prime, at 6:00 a.m., Terce, at 9:00 a.m., Sect, at Noon, None, at 3:00 p.m., Verspers, at twilight, and Compline, before retiring. Services include canticles and psalms with antiphons, humns, and lessons and versicles with responsories and prayers. The prayers, hymns, antiphons and other aspects of the Divine Office correspondent to the Liturgical Seasons established by the Magisterium of the Roman Catholic Church. Ave Regina Caelorum (“Hail, Queen of Heaven”), is sung from the Presentation of the Lord through Good Friday, inclusive. Regina Coeli Lætare (“Joy to Thee, O Queen of Heaven”), is sung during Easter. Salve Regina (“Hail, Holy Queen”), is sung from first Vespers of Trinity Sunday until None of the Saturday before Advent. Although antiphons are usually defined as a liturgical chant with a prose text, sung in association with a psalm” (see Michel Huglo in The New Grove Dictionary of Music and Musicians, “Antiphons” at p. 472), “[s]everal categories of antiphon developed without any link with psalmody, such as the great processional antiphons of the Gregorian processional.” (Id., p. 472, Part V.) Thus, while antiphons normally are tied expressly to biblical texts, the four Antiphons of the Blessed Virgin instead express the devotion of the people rather than reciting prayers from the psalms. Each of the four Antiphons of the Blessed Virgin are set forth in the original Latin and in English translation, below. Fallen, but striving still anew to rise. Pity the sinners who before thee bow. Hail, O Queen of heaven enthroned! Hail, by Angels Mistress owned! Ora pro nobis Deum, alleluja. Joy to thee, O Queen of heaven! Alleluia. He whom it was thine to bear; Alleluia. As He promised, hath arisen; Alleluia. Plead for us a pitying prayer; Alleluia. Eve’s banished children cry to thee. A pitying look on us below. Our Blessed Jesus, born of thee. O gracious Mary, lend thine aid.